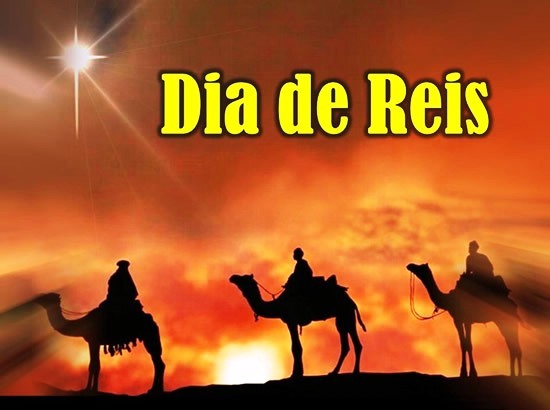 The Twelfth Day of Christmas is the day the Portuguese remember the kings, or as the Wise Men. They arrived from the far east to worship the Christ Child. Of course, there is a special food for this celebration. That would be the Bolo Rei – the King Cake. Of course it is available all through the Christmas season, but one simply cannot not have a Bolo Rei. 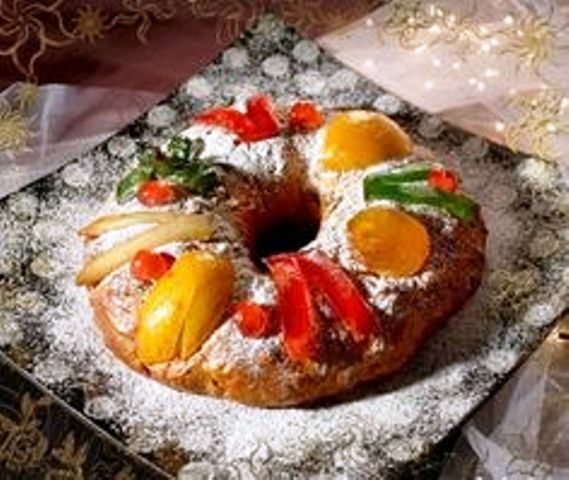 It is made from sweet bread dough, and filled with dried and candied fruit. Embedded in the dough is a fava bean and a small toy. When the King Cake is served, the person who has the slice with the toy is to have a prosperous new year. Those who pull the fava bean out of their slice must purchase the King Cake the following year. The cake is much better than our traditional fruit cake, and it is amazingly good toasted the next day if you have any left over. you get to buy it next year! Now that looks more than excellent! Cherries, too? Wow. Don’t give FEF any, since she doesn’t share cake. She can have some if she wants it. You can have a big hunk and toast the leftovers in the morning. I agree! Is it drunk with lemon tea? I’ve yet to try that lemon tea you told me about. Well, it would be easier in Florida because we have lemons on trees. Cool. Is it warm there? You should build an igloo. I think I could with how cold it is here. Make some hot mulled cider. Is it too cold to strum on your guitar? Mmm…I’ll have a piece please! They can’t be beat. I tried making them when we got back to the states, but it just wasn’t the same. Thanks, Cindi, I can’t eat them anymore anyway – I am gluten sensitive. Nowadays is forbidden the fava bean and a small toy in Bolo Rei. I’m sorry to hear that. I guess it is safer. I just taught the three kings this morning..Your cake looks yummy, as well. Oh, the King Cake and how we loved it.